Subaru Baja, Forester, Legacy, Outback, Impreza, Tribeca and Saab 9-2X need repaired. January 20, 2017 — Subaru is recalling nearly 186,000 vehicles in three recalls to replace Takata airbags after the airbag maker announced new massive recalls totally 5.7 million airbag inflators. The recalls are broken down by different locations, but all three recalls involve passenger-side frontal airbags only. Arizona, Arkansas, Delaware, District of Columbia, Illinois, Indiana, Kansas, Kentucky, Maryland, Missouri, Nebraska, Nevada, New Jersey, New Mexico, North Carolina, Ohio, Oklahoma, Pennsylvania, Tennessee, Virginia and West Virginia. 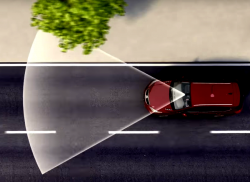 The vehicles will need new passenger frontal airbag inflators installed, but Subaru doesn't know when that will occur. 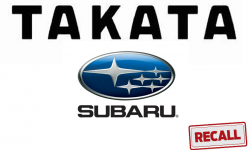 Owners of the recalled vehicles may contact Subaru at 800-782-2783 and refer to recall number TKB-17. 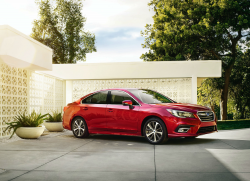 As with the other recalls, the front passenger airbag inflators will be replaced, but Subaru doesn't know when the recall will begin. Owners of the Subaru vehicles will be contacted by Subaru and owners of General Motors vehicles will be contacted by GM. 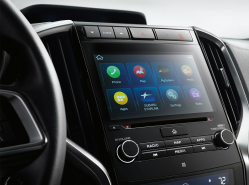 With questions, affected Subaru owners can contact the automaker at 800-782-2783 and Saab owners may contact Saab at 800-955-9007. The recall number is TKC-17. Add another 53,480 vehicles to the recall list as Subaru says the 2005-2006 Subaru Baja, 2006-2011 Impreza (including WRX and STI models), 2006-2012 Tribeca, 2009-2012 Forester, Legacy, Outback and 2012 WRX need new passenger airbags. 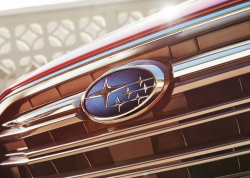 The automaker doesn't know when this recall will begin, but owners with questions should call Subaru at 800-782-2783 and reference recall number TKA-17.